Roger, who plays musical instruments, such as guitar, mandolin, keyboard, etc., probably knew how his works should sound and what he wanted to hear when playing them. He, along with the American rapper and producer RZA, mastered the Italian lute, practicing in his Oakland house in Berkeley Hills. The love for classic instruments was in Roger’s blood, because his parents were music teachers and opera singers. However, the business aspect in the music industry wasn’t alien to him either. He saw the prospect and was seeking the ways to extract the maximum benefit from it. In 1979 Linn and Alex Moffett established the company “Linn Moffett Electronics”, which would soon be renamed into Linn Electronics. They started to create their first drum machine using digital samples. Later it would be launched under the name “Linn LM-1”. Initially, Linn drum machine was released only in electronic version, but after a number of improvements it was decided that the keys and toggle switches should be hardware. Linn LM-1 offered only 12 preset patterns. The cost of the machine was American-business-like and featured a 4999 dollar price tag [still less than 5 isn’t it?]. To start a small-scale production Linn was looking for investors all over the music world. About 50% of the amount needed to run the project Roger was given by music investors, among which there was an American jazzman and winner of 14 Grammy Awards Herbie Hancock. Among the most popular records featuring “Linn LM-1”, which were once the absolute hits, – “Rock It” by Hancock, “Don’t You Want Me” by The Human League and “When Doves Cry” by Prince. Gary Newman and Michael Jackson also used the unit in their records. In 1980 Roger Linn made a revolution in the world of electronic musical instruments by the release of the world’s first drum machine using digital samples. In 1982 Linn Electronics released an improved “LinnDrum” based on “LM-1”. It added Crash and Ride Cymbal samples. Despite the lack of settings, LinnDrum with its high-quality samples, flexibility in solving problems, adaptation and accessibility, gained well-deserved popularity among the musicians. Mixed version of the 8-bit “Linn 9000” machineas a response to Rolland offering a cheaper analogue TR-808 with standard disco sounds of bass drum and solo drum came out in 1984. It was the first digital integrated drum machine with a MIDI sequencer. But Linn’s device was more expensive, and the operating system wasn’t without flaws. However, 9000 can be heard in Michael Jackson’s tracks “Bad”, “Man in the Mirror” and “Liberian Girl” of the album “Bad” in 1987. In January 1986 Linn debuted at the NAMM Show with the synth – in fact rack mount version – LinnDrum Midistudio as the Linn 9000 successor with some upgrade. The machine didn’t cure the bad sales situation, as the operating system continued to “limp”. The failed unit didn’t become a part of the series, Linn Electronics lost the fight with Roland, and the following month disappointed Linn left his business, having fifty employees out of work. The Soviet and later Russian “Elektronika” bought out the remaining Linn’s assets, producing and releasing “9000” and “LinnSequencer” with some upgrades until 1994. Comparing “LinnDrum Midistudio” to “Akai MPC” users catch some family resemblance. And there is kinship. Roger Linn was taken onboard by “Akai Professional”. The Japanese hired 31-year-old Linn to work for them as chief engineer consultant. Akai released E-mu SP-12 – a modified model of Linn 9000, – only with a 16-bit sample bank. The sound of this machine can be heard, for example, in the early albums of Public Enemy. It was often used in the projects of producer Marley Marl. In 1988, Akai released the model MPC60 with 16 pads and the ability to sample 26 seconds of sound. This is the first unit more or less similar to a modern drum machine with a sequencer. MPC60 helped such bands as “A Tribe Called Quest”, “De La Soul”, “The Pharcyde”, etc. to make their recordings. In 1988 Akai released MPC60 with integrated digital sampling. The improved model MPC60 was released in 1994 under the name MPC3000. According to the founder of the drum machine, he didn’t understand hip-hop and never listened to this kind of music, preferring gypsy jazz, but MPC3000 became popular, and with the help of this device Dr. Dre, J-Z, The Chemical Brothers and DJ Shadow recorded their albums. Approximately 80% of hits of all hip-hop of the 1990’s were recorded with the help of Linn’s drum machines. After Akai got its owner replaced with another owner and the company stopped paying royalties to Linn for each device sold. 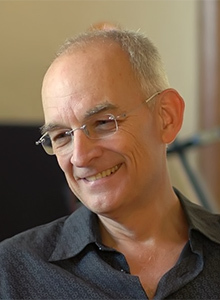 In 2001 Roger Linn created a new company called Roger Linn Design. Roger changed the activity and began to create guitar processors and effects. The products of this company are still in demand – AdrenaLinn guitar pedals updated to the third version, the music performance controller “LinnStrument”, etc. AdrenaLinn is a digital multi-effect unit with a drum machine and an amp-modeller all in one, designed by Roger Linn with some help from Dave Smith and Tom Oberheim. In particular, unlike other guitar pedals, AdrenaLinn specializes in beat-synchronized effects, including modulation and delay, as well as a sequencer that provides loop patterns of filtered tones. AdrenaLinn technology is the result of Roger Linn’s partnership with M-Audio. AdrenaLinn can be heard on the records of John Mayer in “Bigger Than My Body” from the album “Heavier Things” (2003), “I Don’t Trust Myself (With Loving You)” from “Continuum” “(2006), “Heartbreak Warfare” from “Battle Studies” (2009), of Green Day in “Boulevard of Broken Dreams” from “American Idiot” (2004), of Red Hot Chili Peppers (2002), of Morcheeba in 2003, of Marillion in 2004 and many others. As a composer and songwriter Roger created and released such hits as “Promises” for Eric Clapton (1979), “Quitting Time” for Lou Ann Barton (1986), Mary Chapin Carpenter (1991) and Amy Bishop (2009)… and toured as a guitar player with the pianist and composer Leon Russell in the 1970s at the age of 21. In 2011 Roger received Grammy award for his brilliant technical achievements in recognition of his huge contribution to the music of record companies. In the interview with Amazona.de he recalled that in the late 70’s he was in his twenties, he lived in Los Angeles and was a guitarist, songwriter and sound engineer. He was very interested in electronics and bought his first computer in 1976. Hestudied programming thoroughly and wrote some simple music programs. Roger had a small home studio where he could play guitar, bass and keyboard. And the most difficult thing for Linn was mastering the drums. In those days, there were such drum machines as “Ace Tone”, but their sound was far from realistic and it was impossible to program them. So he decided to write a simple program for a drum machine on his own computer. Back then computers could not produce sounds themselves, so he bought a Roland drum machine. And then Linn wrote a program to control the rhythmic patterns. Many friends enthusiastically supported his experiments. He used this simple drum machine when recording a demo version of his song “Promises”, which he wrote together with his friend Richard Feldman. They sent this record to Eric Clapton in 1979 and soon it became one of his hits. Linn turned to his friend Art Wood, a drummer from Los Angeles. In his home studio, they only recorded a few sounds. Roger applied all his knowledge and experience as a sound engineer, used all possible microphones and other equipment to achieve the best possible recording of each drum. They also thought about exactly what kind of drum sounds were then, in the late 70’s, especially popular. They decided to stop at the deep, loud sound of the snare drum and the harsh drum sound with a minimal attack. These sounds were uploaded to the computer. The result, given out by the computer, seemed satisfactory. Roger even laughed at the fact that it was the only session of Art, on which he didn’t have to perform at all. In the beginning, only one programming step was possible, which caused a lot of inconvenience. Linn’s goal was to achieve full programming in real time instead of introducing one note after another. To reduce the unevenness of the rhythm, he set the time correction (now called “Quantize”) so that the computer eliminated all the flaws that occurred during programming. He also developed the “Shuffle” function (now called “Swing”), for 1/16 and 1/8 notes, allowing the drum machine to sound more human-like. As a result, his drum machine not only provided realistic sounding of drum samples, but also provided both step programming and real-time programming. In general, the drum machine became a complete product. In 1979 hecalled it LM-1 Drum Computer and announced the release. At the beginning of next year, the first units were sold – 5 thousand dollars apiece. For 50% he financed the production himself, the other 50% he got thanks to the prepayment made by customers. Linn used to assemble drum machines at home with his fellow musicians. Among the first buyers there were Stevie Wonder, Steve Winwood, Herbie Hancock, Prince, Michael Jackson and other celebrities. In total, 500 units were assembled, but they all ended up in the hands of outstanding musicians and therefore sounded great. Carriages were replaced by cars, portraits were taken with cameras, and the synthesizer ARP String Ensemble came to replace some violinists. Technology is changing society irrevocably. If Roger did not develop a drum machine, someone else would do it. And from the very first days it became obvious – and amazing for him – that the drum machine was only able to reproduce the programmed parts. No drum machine in the world was able to assess how relevant or inappropriate its drum may be. They aren’t able to interact with other musicians. So it was not so easy to replace a good drummer.